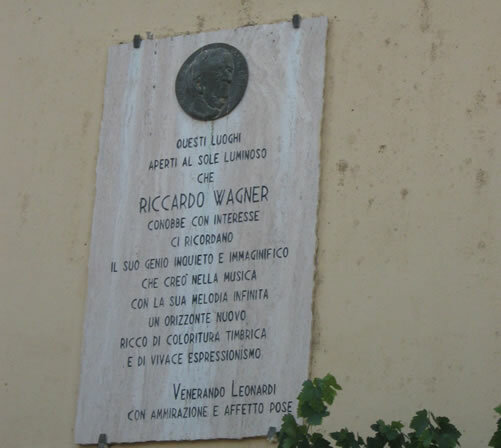 The CONTEA DI WAGNER recalls a charming age-old story happened in 1800, placed in the green plain of Catania. It is surrounded by the luxuriant citrus orchards perfuming of orange blossom. The well-known German composer Richard Wagner stayed in this small village. Bewitched by the charm of the places, sunny hospitality and by the eternal spring, he composed the “Reapers hymn” which is an integral part of the Parsifal. In memory of the well-known composer a memorial tablet was placed. The small village, rich in traditions and history, has maintained the charm and the simplicity of the countryside, recovered by a wise restoration respecting the past rural architecture. All rooms are independent. Each one is dedicated to a classical music composer connected to Richard Wagner, and provided with all comforts: independent entrance, digital TV, independent air conditioner, private bathroom (provided with hairdryer). The rooms are furnished with charm and original sicilian period forniture and objects. The comfortable and quiet environment offers to the guests a friendly welcome and hospitality, recalling the origins of the sicilian country tradition. At the restaurant 'Sala dello Scirocco', you can taste a simple, genuine and strictly local cooking. The proposed gastronomy is one of the CONTEA DI WAGNER button-hole. It is characterized by local sicilian products, in which you can enjoy the taste of traditions. The firm gives to those who wish to relax, in addition to a comfortable and elegant environment, the possibility of making naturalistic, archaeological and cultural excursions. At the CONTEA DI WAGNER spending a holiday means to rediscover smells and tastes of the past, in total relax far away from daily chaos and stress, ideal components for unforgettable moments.